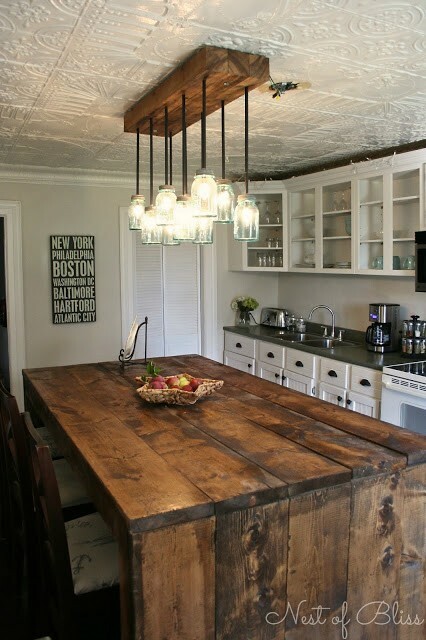 I am so in love with this kitchen make-over that I found on BrandiSawyer.com. They took a space that she called a “design crime-scene” and turned it in to a space I would be honored to cook and entertain in! Check out this gorgeous room. The fresh and clean farmhouse aesthetic is exactly what I love and I could not stop looking at pictures of this renovation. 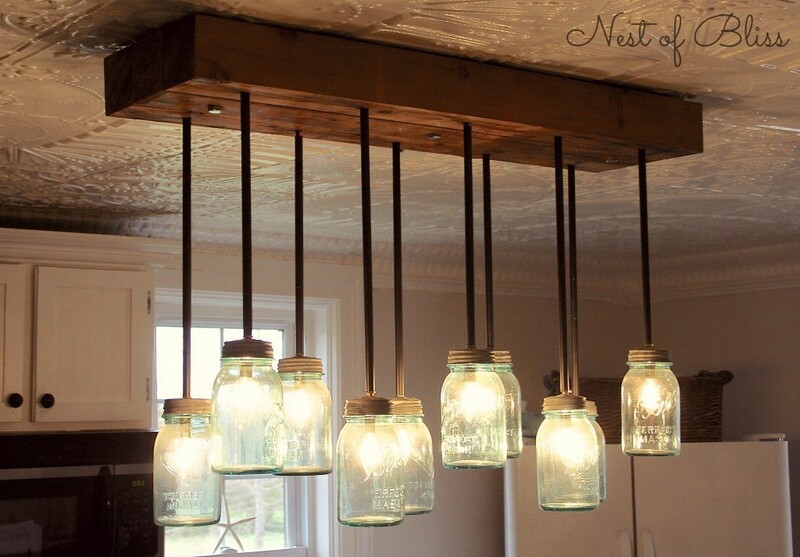 My favorite piece has to be the incredible mason-jar chandelier that they actually made themselves. Mason jars are such an incredible item to work with and it is awesome to see someone put them to use to their full potential. To get the full tutorial on this chandelier, see our article and image source at BrandiSawyer.com.